"And all the tithe of the land, whether of the seed of the land, or of the fruit of the tree, is the Lord's... And concerning the tithe of the herd, or of the flock, even of whatsoever passeth under the rod, the tenth shall be holy unto the Lord." "To give 10 percent ... [is] the gold standard of charitable donations... [but] less than 10 percent of Christian church-going Americans give 10 percent or more of their income. ... Those who do tithe tend to be in better financial shape than those who don't. Nearly one in three tithers are debt-free vs. 13 percent of non-tithers." Which brings us to today's big question: If almost no one at church tithes these days, and if among those few who do, many are in better-than-average financial shape, does this mean that "only rich folks tithe"? That seems to be the gist of what MarketWatch resident financial expert Quentin Fottrell argues. According to Fottrell, people who tithe 10 percent or more of their income to church are a rare and well-off bunch. Simply put, they tithe because they can afford it -- but most of us cannot. Or as he summarizes his thinking: You should "give $1 or $1,000, or whatever feels comfortable." Because no one else is tithing 10 percent, either. What Is the State of the Plate? MarketWatch bases this argument on research in a 2013 "State of the Plate" research report sponsored by such organizations as Christianity Today and the Evangelical Christian Credit Union. 40 percent less likely (15 percent versus 25 percent) than the average churchgoer to owe significant debt (more than $50,000). Only half as likely (20 percent vs. 40 percent) to be overdue on their credit cards. Twice as likely to be entirely debt-free (28 percent versus 13 percent). But as well off as they may be, there aren't a lot of tithers. In fact, out of the U.S. population of 315 million (circa 2013), State of the Plate says only 10 million people tithed 10 percent or more of their income. That "10 million" is an interesting number. 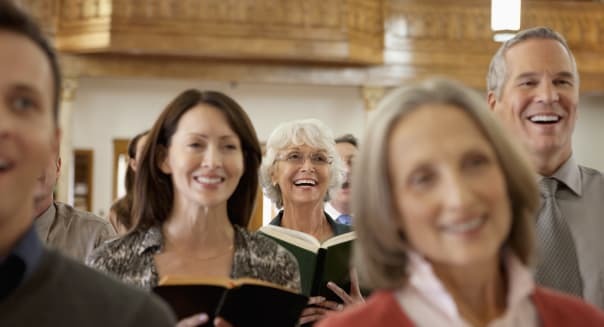 Gallup polling data show that 43 percent of Americans attended church weekly (or nearly so) in 2013. Out of a population of 315 million, that's roughly 135 million souls. State of the Plate estimates 10 million of these people tithed 10 percent of their income, implying only 7.4 percent of professed churchgoers are tithing 10 percent. What's more, out of the whole U.S. population, this suggests that barely 3 percent of us tithe 10 percent or more. And yet, State of the Plate reports that these 10 million tithers donate more than $50 billion annually to their churches. How is that possible? After all, $50 billion divided by 10 million tithers works out to each tithing an average of $5,000. Yet according to the U.S. Census Bureau, the average per capita income in the U.S. in 2013 was just $28,155. Granted, "per capita" data includes data on children, who don't earn much. But some children also tithe. In fact, State of the Plate says that "28 percent [of tithers] started giving 10 percent when they were in their childhood or teen years." So for 10 million tithers to tithe $50 billion, they must tithe an average of 17.8 percent of their income. Which is pretty incredible. You won't find that amount of generosity required even in the King James Version of the Bible. 54 percent give between 11 and 15 percent. 14 percent "tithe" 16 to 20 percent. and 9 percent give 20 percent or more. But that still seems unlikely to result in an average tithing rate of 17.8 percent. My back-of-the-envelope calculation works out to a bit more than 13.6 percent. And that's not the end of the "math problems." In a married household, usual tithing practice isn't for husband and wife to tithe separately. Children may be encouraged to tithe individually, to encourage early adoption of the practice. But for parents, it's more common for the head of the household to deposit "the family's" tithes in the offering plate. Now consider: If 10 million households tithed an average of $5,000 in 2013, that's only 6.9 percent of the average household income that year ($72,641, per U.S. Census Bureau data). Result: We're now down to 7.4 percent of professed churchgoers "tithing" 10 percent, or 10 million actual tithers tithing an average of just 6.9 percent. Either way, State of the Plate's best guess that "10-25 percent" of churchgoing families tithe 10 percent or more doesn't seem very close to the mark. Either fewer churchgoers are tithing much more than 10 percent, or more churchgoers are tithing less than 10 percent.